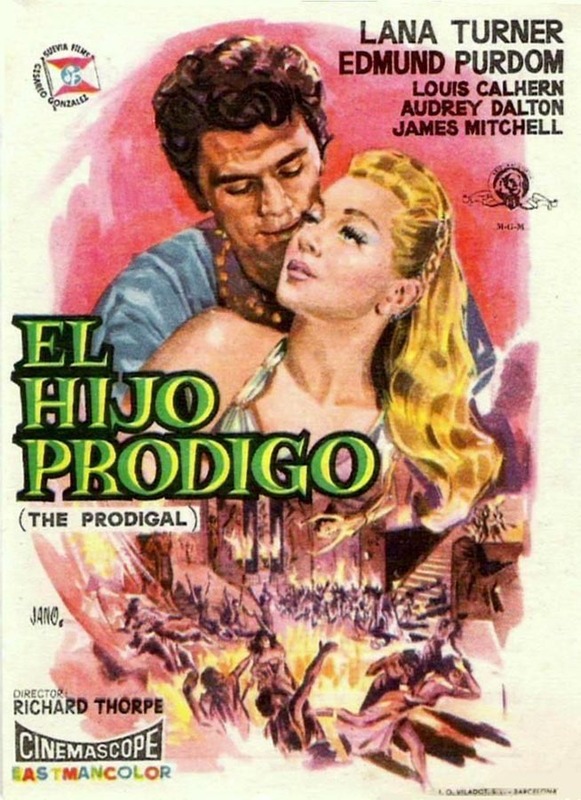 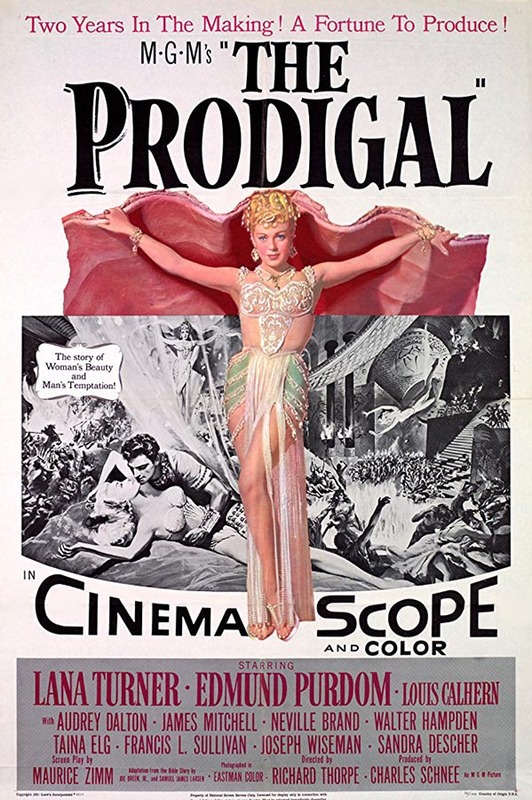 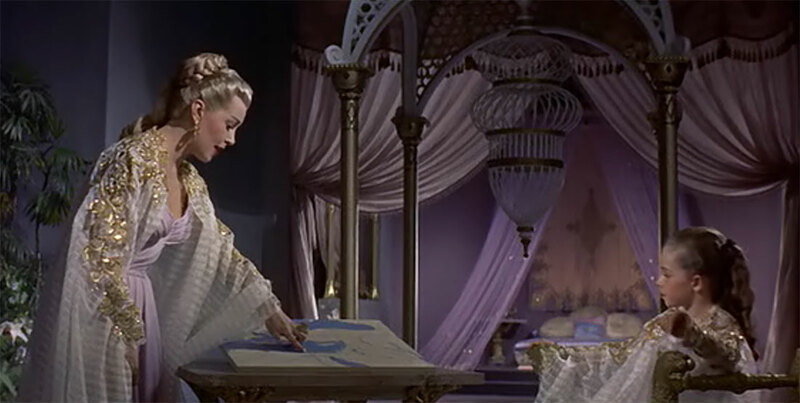 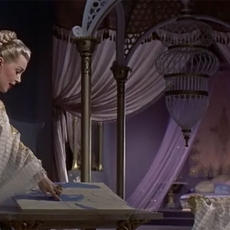 “The Prodigal” is a 1955 Eastmancolor biblical epic CinemaScope film made by MGM starring Edmund Purdom and Lana Turner. 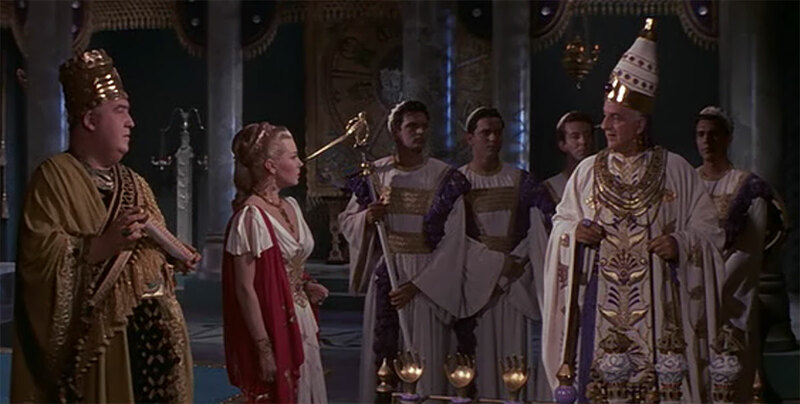 It was based on the New Testament parable about a selfish son who leaves his family to pursue a life of pleasure. 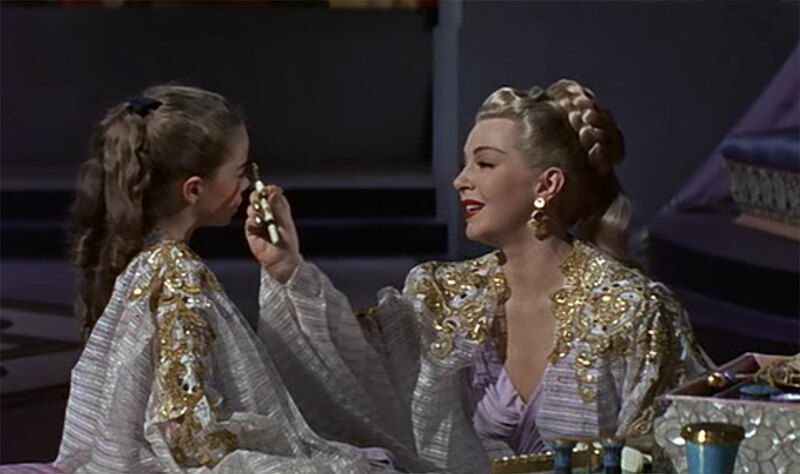 The film also features James Mitchell, Louis Calhern, Joseph Wiseman, Cecil Kellaway and Walter Hampden. 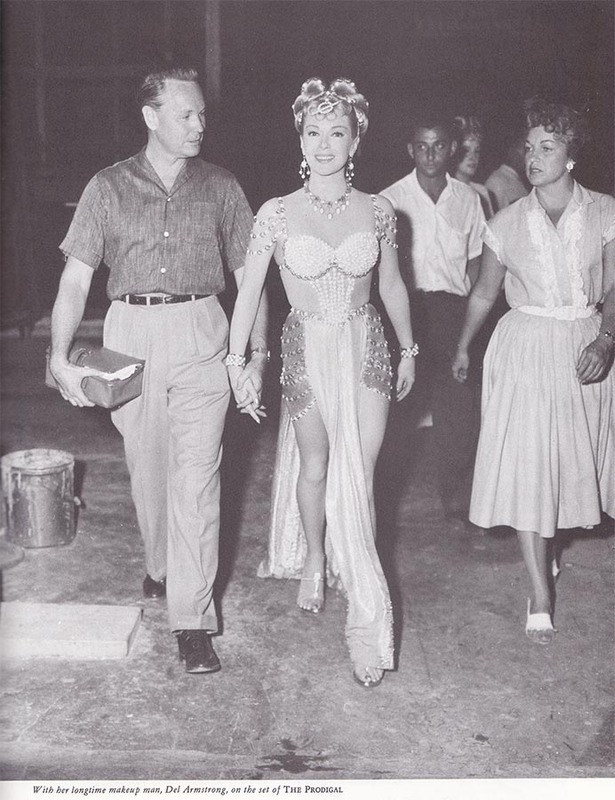 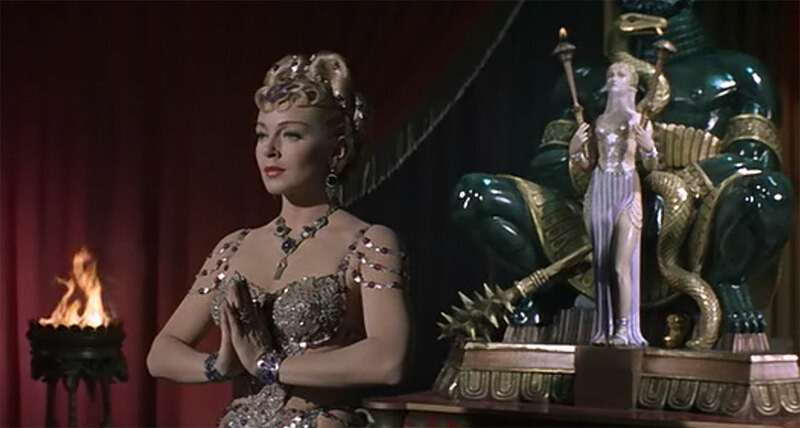 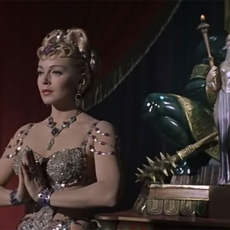 The dancer Taina Elg made her film debut. 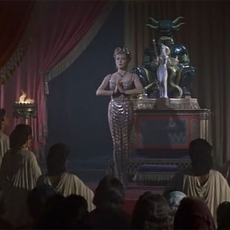 The story is loosely based on Jesus Christ’s parable of the prodigal son, from the biblical New Testament Gospels, although considerable liberties are taken with the source material, chief among them being the addition of a female lead in the form of the high priestess of Astarte, Samarra. 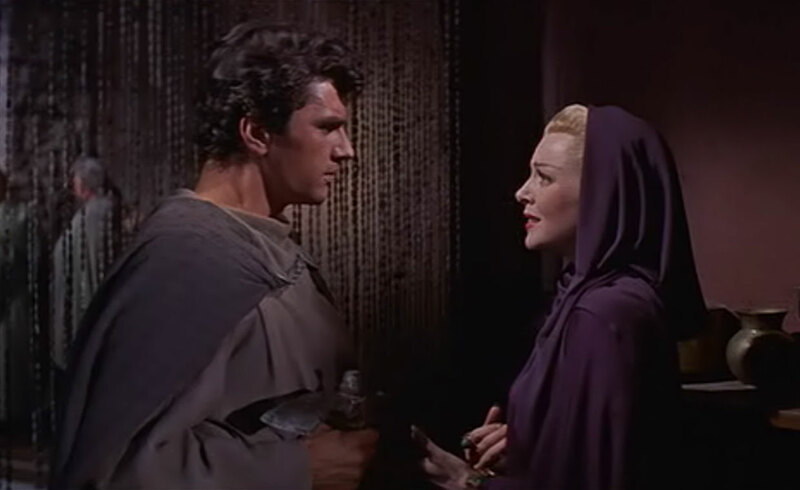 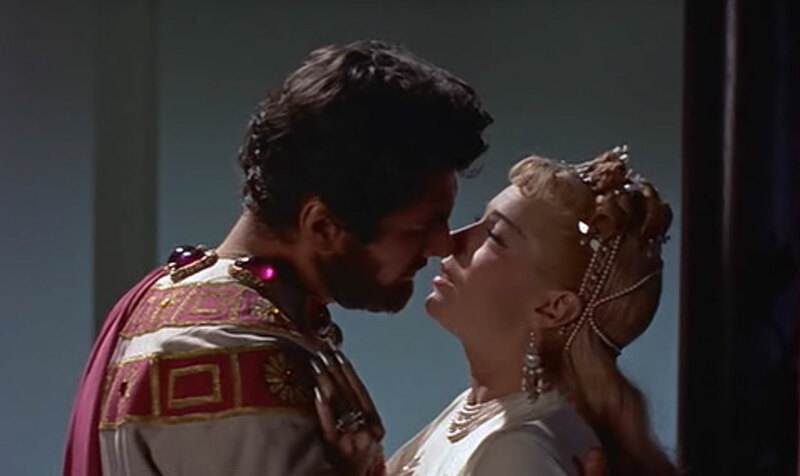 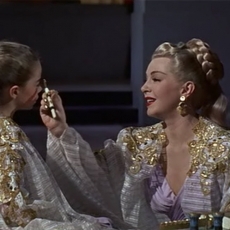 Micah (Edmund Purdom), a young Hebrew farm boy, sees Samarra (Lana Turner) and says he will have her. 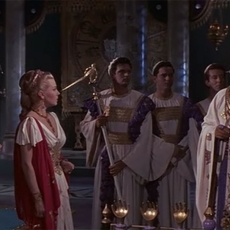 He demands that his father give him his inheritance and journeys to the city of Damascus. 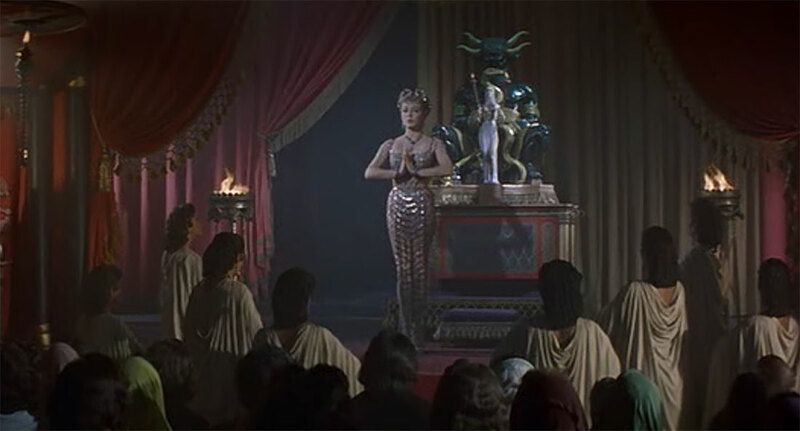 There Samarra seduces him into losing his inheritance and betraying his religious faith. Enduring a number of difficulties, Micah finally realizes where he belongs and returns home to his father, who forgives Micah all of his sins and orders a lavish celebration of his return. 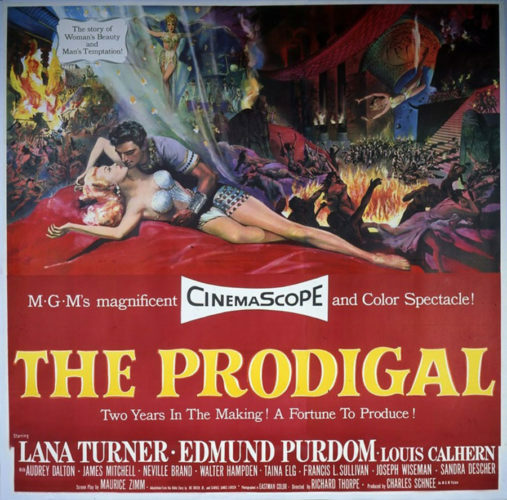 Lana felt very uncomfortable much of the time on the Prodigal. 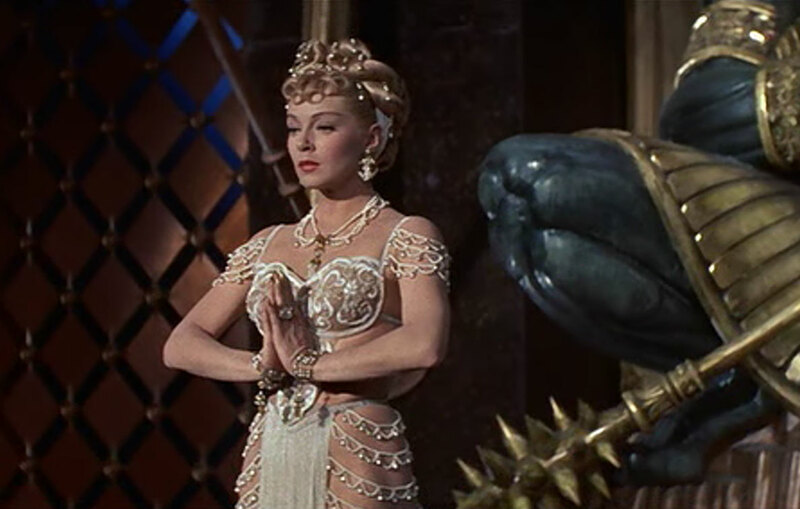 Besides the heavy costumes weighted down by metal and beads, she was covered in thick body makeup, which she abhorred, for the sections that skin showed. 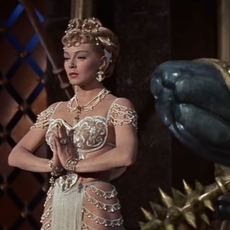 Once she got into the role she found more not to like. 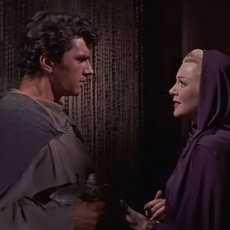 She didn’t get along with Edmund Purdom, her leading man, which was rare for her. At least Louis Calhern was on hand, who was funny, always telling jokes. 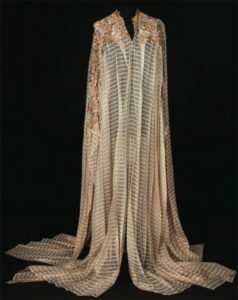 Herschel McCoy was the costume designer on the picture. 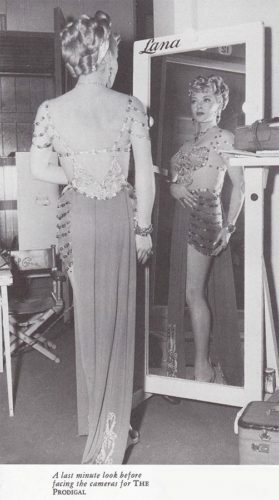 His costumes for Lana were among the most eye-popping ever worn by a major star at the time. They were very provocative by 1955 standards.